Surrogacy – where to start? So you think surrogacy might be for you but where to start? There’s so many options, so many websites, so many countries, laws and things to consider – it can be confusing and overwhelming. Where can you go for accurate advice? The government have recently issued official guidance on surrogacy – both for healthcare professionals and for those undertaking surrogacy themselves. There are three not-for-profit surrogacy organisations in the UK. Each organisation operates slightly differently- contact each one, obtain information, ask advice and see if an organisation is something you feel might help you on your journey. You do not need to go through an organisation to undertake surrogacy in the UK. In addition there are a number of closed facebook groups that offer advice and support. One of the largest is The Foyer – UK, which can be found through the search facility and can be accessed by answering the Administrators questions. A great way to find out more about surrogacy is to follow the journey of surrogates and intended parents themselves. There are a number of legal firms in the UK who offer surrogacy services and advice. Can advise on both international and domestic surrogacy. It is important to consider counselling when thinking about surrogacy and there are a number of fertility specific counsellors available around the country. The British Infertility Counselling Association can provide details of counsellors and information on fertility counselling. If undertaking host surrogacy, or surrogacy that involves egg or sperm donation you will need a fertility clinic. The Human Fertilisation and Embryology Authority are the UK Governments independent regulator of fertility clinics. They can provide you with clinic information and you can view success rates and patient reviews. It is worth noting that surrogacy treatment may not be advertised on clinic websites but the majority of clinics do offer it. When dealing with a clinic do ask if they have a surrogacy coordinator as this will be your main contact through your treatment. Surrogacy is usually self funded. In some cases embryo creation may be available via the NHS. This is usually for women who have had cancer or those with MRKH. It is definately worth checking with your NHS trust in the first instance. If undertaking host surrogacy in the UK, IPs should budget £30k and for traditional surrogacy £20k. These costs include testing, clinic and treatment costs, visits with your surrogate, cost of parental order and surrogates reasonable expenses. At this moment in time fertility financing is not available for surrogacy as it is for regular IVF through Access Fertility. Low cost IVF through clinics such as ABC IVF is also not available those requiring surrogacy treatment, meaning that on the whole intended parents need to budget the amounts detailed above for their journey. Charities such as The Fertility Foundation have recognised the need to help intended parents by including surrogacy in their fertility grant programme, we hope that other charities, finance companies and clinics follow suit to provide help to intended parents. When starting your journey it is key to connect with others who have been through the process. Not only will it provide you with first hand knowledge it will act as your support network for your future journey. There are a number of events coming up that can help you start your journey. Ultimately, take your time. Surrogacy isnt something that should be rushed – look at all the information out there and think about which way is best for you. Sarah: Im betting its going to be 8lbs 4ozs!! Nick: Based on intuition, experience, or something else?! Sarah: Dont feel too big and Georgina was 8lbs 2ozs and i think it might be a little bigger!! the fact i can still walk means its not going to be nearly 11lbs like alfie!!! Nick: I honestly know nothing. But I’ll stick my oar in, why not? I’m gonna go lower. Just under 8… How many ounces in a pound? Nick: Okay then. I’ll say 7 and 13! Sarah: Ohhh bets are on!!! it will definately have a flash of dark hair too!! Michael: I LOVE this. I’m gonna go light hair and 8lbs 1 oz. tee hee hee! Sarah: It’ll never be blonde!! I’d put actual money on it!!!!! Oh and I’m still going for girl!!! So, little Elliot was born at 2.20pm on Thursday 7 March. He weighed 8 lbs 5 oz, has a beautiful head of dark hair (though Michael keeps suggesting he can see lighter hair in there). His entry into the world was a very quick and easy one – the caesarean section proceeded without accident nor incident and was all over within under an hour. Sarah was comfortable and in great humour throughout, and has continued to be so ever since, going through all the right recovery motions – getting up and walking as soon as possible thereafter, and being as active as possible given the major operation. The day started for us with an early wake up (after very little sleep from the anticipation of it all). We headed over to Sarah. Sarah was there and waiting, having not slept much herself because of all the excitement and spent a good part of the morning chatting away to the midwives – she’s part of the team now, having spent a couple of weeks on the ward and even acted as surro-birthing partner to some of the ladies! We cannot say enough how BRILLIANT the hospital have been with us – they had already delivered a wonderful birth plan that breached policy by allowing both Michael and Nick into the operating theatre for the birth, and stated clearly that we were to be provided a room. That room was there for us straight away – a wonderful room with and en-suite full bathroom. Amazing! Word of our surrogacy and the ‘gay daddies’ has obviously made its way around the hospital as we have been questioned every time we’ve gone to the cafeteria by the staff there – before to find out whether anything had happened and after there was insistence on showing some photos from the phone. So we got our stuff, moved into the room, and started waiting. In the end it took five hours till we were called – just before 2. By that point we were going up the walls a little – the first three hours had been fine, we’d sat and chatted through things lots, it was wonderful. By the third hour we were getting a little less patient… we’d had confirmation that not only were we not the first to go for a planned C-section (we’d found this out at 9am) but there was also a likely emergency C-section and another operation to stitch up a lady who’d had a tear. Sarah was in her operating togs, just in case, but we looked like we were in for a really long haul! Poor Sarah was super thirsty by this point, having had nil by mouth since midnight! You can imagine how guilty we felt at lunchtime when we had to go and get a bite to eat to make sure we could make it through the afternoon – but, as with everything else in the day, Sarah was wonderful, calm and generous, sending us on our ways to get a sandwich with barely a peep! Finally, just before 2pm, our wonderful midwife Katy came to collect us all and take us up to the delivery suite. Until then, we’d been so busy in the waiting game that we hadn’t contemplated fully what lay ahead. But there was no denying it now. For Michael and Nick, the moment reality hit was when we were ushered into a room to put our operating theatre gowns on. We had a good few minutes waiting in there while Sarah had the anesthetic administered, and they were fairly tense moments – lightened only by the knowledge of how silly we looked. For Sarah, the moment of entry into the theatre was the moment of truth. With lots of people busy and working away, a lot of equipment beeping and doing things, it certainly was an intimidating site. As she went into the room, she stopped and had to be pushed in by the midwife Katy. There was also a brief moment of sickness. By the time Nick and Michael entered the room, shortly after 2pm, the operation was starting and Sarah was 100% back to normal. In fact, her face was the picture of serenity itself. Nick can’t comment on the rest as he was firmly glued to her face, being really rather squeamish. Michael, however, allowed himself not only a peek over the curtain but every so often a good old stare! While the doctors got on with things, we continued our chats of the morning. Sarah described how little she could feel, and every so often the bits she could feel. It was all quite surreal, as you’d imagine, but not in any way horrible or discomforting, everyone was doing a wonderful job, all was going to plan and the midwife was being amazing at updating and reassuring us all. About ten minutes after Nick and Michael entered the room, Michael started looking much more intently. And then he saw it! Two feet being pulled out, followed shortly thereafter by some, er, meat and two veg . This was wonderful news, but not quite happening in the order of the agreed birth plan, which was that we would be presented with the new arrival all as one and look for ourselves! So Michael ‘had to self administer botox’ (his words) to keep his face completely schtum until the right moment! The doctors rotated the legs and the baby a little and then gave a massive tug – Michael looking all the time and trying his best not to show his shock at how much of a pull they needed. And with a plop, Elliot emerged! His (purple) body was taken over to a table nearby by the midwife and he was given a rub down. She then presented the new arrival to us. Michael’s botox at that point could wear off, and the joy came over us all. There were tears from Nick, smiles from Sarah and incredulity from Michael. Babies born by a c-section are understandably a little unprepared and though a little less of an ordeal for them than a natural birth can sometimes be, it is a massive shock to the system so they need to be kept as warm as possible and calmed down immediately. This made possible the most wonderful moment of the whole time – a good ten minutes or so when Nick and Michael took turns to hold their beautiful son, all right next to Sarah’s face so she had a perfect view of those first moments of parenthood. Elliot was beautiful, perfectly formed and slowly taking on a nice reddish pallor as he warmed up and got used to his new environment – and the hold of his doting parents. He made a few coos here and there, but was generally really quiet and contented. With some strategic placement of hands to cover the lights of the theatre, the stunning brightness of the room was reduced enough to entice him to open his little eyes and look up at the world he had just entered. And look into the eyes of two people who were falling in love with him there and then. As this post is being written by Nick and Michael, albeit after a good chat over things with Sarah, we get to monopolise it for a while to talk about Sarah. Words cannot express our feelings for her, throughout the whole pregnancy and then the birth, she has been the most amazing person. She is so calm, so collected, so laid-back, so friendly and caring. She has put herself through a long and sometimes grueling process, all for two other people who she knew so relatively little at the beginning. In the process, she has made us two of the happiest people in the world, and made friendships for life. She also has the most amazing family – who have taken us into their hearts and allowed us to take them into ours. Each of her kids is wonderful, each in their own brilliant way – even though we would rather have avoided a two week hospital stay for Sarah, without this we would never have had the pleasure and privilege of looking after her two youngest kids for a few days – an experience we will treasure, and certainly never forget – especially the lessons we learned about how to look after four and six year olds! And Nick, her husband. The most noticeable aspect to his character is that he is a talker. Because of this, you soon discover he is also one of the most caring and sensitive men we’ve ever met. He is full of giving and love. We loved that we got a night in with him and a selection of continental beers to chat over things and set the world to rights. We can’t wait to do it again! Truly, that is the gift of surrogacy, families being made, families coming together as friends, people providing evidence that the world is a kinder, gentler and more giving world than the sometime selfish, cruel and violent world that it can be portrayed as in newspapers or other parts of society. We are so proud to be part of something so good. We know Elliot will be too. Being an IP is hard and the wait to find a surrogate can prove to be the one of the hardest parts. Its not something that is taken lightly by surrogates, we know that the wait to meet the right surrogate can be long, and frustrating, and downright soul destroying. I have heard surrogates say “I wish I could help more than one person at a time” so many times over the years, and its a sentiment I have certainly felt myself. I am regularly asked by IPs if there is anything they can do to speed up the process of meeting a surrogate and my advice remains the same – Be yourself, its not about meeting any surrogate, but meeting the right surrogate for you. I often wonder if I could be giving more advice , so I asked other surrogates what advice they would give. It seemed that every surrogate gave similar advice – don’t give up, be yourself, meet people. There’s certainly no trick to finding a surrogate, no fast track, no IP more deserving. Surrogates too are on a journey to find the right IPs for them and by taking their advice it should help you to find each other. As frustrating as it is, the wait for a surrogate might be long, it might be bumpy and at times it might feel hopeless but when you find the right surrogate for you, we hope that it will all be worth it. 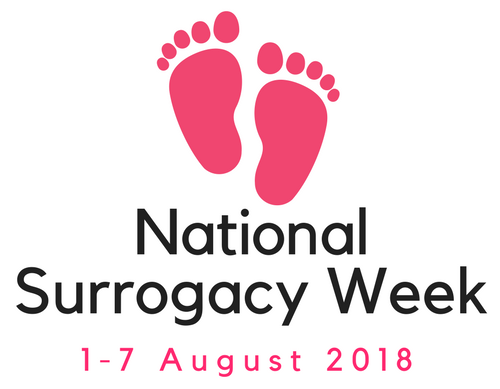 In celebration of National Surrogacy week we’ve been asked to share our experiences on what it’s like waiting to find a match with Surrogacy UK. Whilst we’re unsure if our experiences are typical, we’re certain they’ll bring some fresh hope. We may have waited a long & agonising 18 months before plucking up the courage to join Surrogacy UK, but the good news is that we were successfully matched within a fortnight. So it was well worth that wait! We also found that during this time our confidence really started to take a hit, as you constantly have to put on a brave face & get yourselves out there, at a time when really you just feel like crawling into a ball to hibernate. The mind starts to play cruel tricks on you & we found ourselves questioning why a surrogate would choose to work with a couple like us, when there are so many other lovely & deserving couples to chose from. Time literally stood still. We started to feel every hour of every day that passes, whilst constantly comparing ourselves to those around us who seem to be living very happy & fulfilling lives. It’s exhausting. The pain of this wait was exacerbated by our desperate longing to become the parents you always thought you would be. The sad truth of the matter is that David & I had become so numb from the constant IVF failures that we convinced ourselves we just need to get through this one last failure & the agony would finally be over. Thankfully it was at this crucial point that we met Kirsty who had a very different perspective on things. We learnt so much for her exuberant positivity & quiet determination. So how did we survive the wait? Here a few things that really helped us recontextualise things & to channel this dreadful wait into positive, excited anticipation. Inevitably this process is going to involve a lot of waiting, however we took great comfort from knowing that during this time we were not alone. After all everyone is waiting for something. People are waiting for a train to go, the phone to ring, or snow to snow. Some people wait for their hair to grow, others kill time for a simple yes or a no. We’ve spent our fair share of time waiting patiently mind. We’ve waited for the kettle to boil, hung around for a Friday night & prayed for release from this very sticky bind. So never forget the fact that inside this strange waiting place, you’re in good company. Secondly know that if you wait long enough, even this wait will end. Whilst it may feel like an eternity, change is the only constant in life. We often wondered if we pretended that the wait was already over, would it come sooner? The truth is no of course it wouldn’t but we did discover that if you approach it with this attitude then you stop dwelling on the things you cant change & start working on the things you can influence. We waited gracefully; we had no energy left for bitterness or resentment. We waited steadfastly; we didn’t loose heart & kept faith that our patience would one day, somehow be rewarded. We waited thankfully; we made time to take stock & appreciate all the good things in our lives. Finally we realised if you’re feeling helpless & useless then make yourself useful sharpish by helping someone else, anyone else with anything. This way you’re making at least two people feel a whole lot better. We took better care of one another, we became Surrogacy UK support workers, we volunteered for local charitable organisations & we reconnected with relatives who live all over the country. As a result, in testing times of adversity these relationships have all blossomed & we feel all the better for it. Dr Seuss in his infamous book “Oh the places you’ll go” implies that The Waiting Place is “a most useless place” but on reflection we’d have to strongly disagree. If you can accept that you’re in it, realize that it won’t last forever & use the time benevolently then you’ll never be waiting in vain. As we contemplate embarking on a sibling project, we may be lucky enough to know what we’re waiting for, but that doesn’t mean that we’re not revisited by some very familiar ghosts. So if you’re in a similar situation, then please be patient & kind to yourselves. Try to remember every sunset that you’ve ever witnessed as the perfect metaphor to remind yourselves that the longer you wait for something, the more you’ll appreciate it when it comes. If you’re committed & flexible in your approach to becoming parents no matter what, then all that stands between you & this dream is a matter of time. Good luck & if you have any questions or would like to speak to us further about our experiences then you’ll find us on the Surrogacy UK message boards aka ‘Peter Pan’.